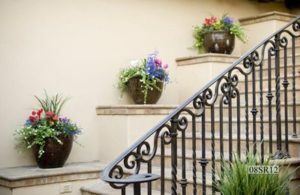 While iron railings are somewhat common in the Las Vegas area, they can be anything but common when you’ve chosen the design that is unique to you. Wrought iron railings are the perfect installation to take advantage of wrought iron’s personality. Whether you want a railing for your deck, stairs, balcony, patio, or pool, a railing often needs to be customized for the dimensions of that area of the home. A balcony just isn’t a balcony without a wrought iron railing. Your stairs are just like any other stairs without putting your own touch on it. 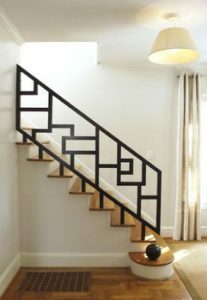 Wrought iron railings work for both the interior and exterior of your home. Sturdy and elegant at the same time, wrought iron makes for the perfect accent for any number of living spaces and decorating styles. “Railing” is a term applied to the structure that is alongside a staircase, a balcony or a deck for safety purposes. Railings are usually installed on the edge of a deck or a stairway, but this isn’t a fixed rule. Wrought iron railings could also enclose or separate an area within a building or a house. They may also be referred to as banisters, balustrades, guardrails, verandas or simply called a rail. Railings consist of two or more horizontal rails connected together to form a rigid structure. The top rail is usually referred to as the hand rail. This hand rail is usually within 34 and 42 inches from the floor. The bottom rail is usually placed 2 inches above ground level and may serve as a footrest when someone is leaning against the railing. The most common method of connecting the hand rail and bottom rail together is with straight pickets or balusters. There are limitless materials, designs and forms that could be used here. Railings are usually installed between posts and walls, but may also include posts that are part of the railing system. For longer spans, legs may be installed to connect the bottom rail to the floor. 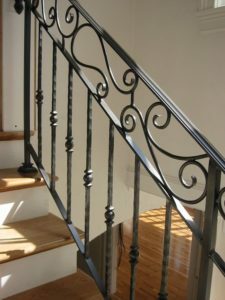 The biggest advantage to installing wrought iron railings, whether on an exterior deck or an interior stairway, is that there is no view interference because they can be manufactured using narrow-width profiles, like ½ to inch bars or tubes and at the same time get the desired sturdiness. This is a plain picket railing with two rails, one at the top and one at the bottom. Light ornamentation could be included under this classification. This railing will have ornamental vertical pickets which could be twisted pickets, hammered pickets, scroll pickets or any combination. These railings have a higher level of ornamentation. They may have fancy scroll pickets or hot-forged scrollwork. 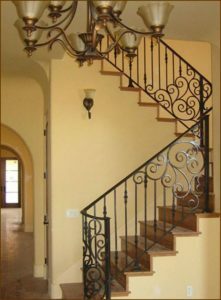 Most of the time, decorative wrought iron railings are used inside. These railings may also include scrollwork and be accompanied by “rubbing” and “glazing” techniques. Our American Iron personnel are ready to provide a free quote in the Las Vegas area. Whether you already have a design in mind or would like to browse our photos, we’re happy to discuss your project. Just fill in the contact form or give us a call.